Don't Let Vienna Deport Assyrian Refugees! What Makes Atra Project Successful? Last week the Austrian newspaper Die Presse reported from Vienna that Iranian President Muhammad Khatami is to pay a visit to Austria from 11 to 13 March, at the invitation of President Thomas Klestil. Iran's head of state is thus reciprocating Klestil's visit to Iran in September 1999. Two year's after his quick ascendancy to political power as the founder of Austria's right-wing Freedom party (Freiheitliche Partei Osterreichs, FPO), Jorg Haider recently paid a visit to Iraqi President Saddam Hussein on what he termed a humanitarian trip. The Iraqis broadcast the visit on their TV. No European country recognized Haider's visit of course, which prompted the Iraqi government to claim this as "the US and Zionist conspiracy". Austrian Prime Minister Wolfgang Schussel, who brought Mr Haider's party into government, refuses to comment on what he calls Mr Haider's "private trip". Haider's other provocations in recent weeks include his attacks on the constitutional court for insisting on bilingual road signs and making anti-Semitic remarks. Since the right-wing Freedom party's coming to power in February 2000, minor restrictions on immigration have been introduced by the Austrian government. The FPO's legislative proposals to curtail the number of foreigners include limiting the number of legally employed foreigners from eight to six per cent, to revise the citizenship law and include the passage 'Osterreich ist kein Einwanderungsland' ('Austria is not an immigration country'), to tighten the asylum law, and a call for a 30 per cent cap on foreign children in public school classes. Due to pressure from FPO and other like-minded parties, Vienna's immigration policy - while not yet manifested in specific legislation - hence aims at a significant reduction of immigration. Most everyone in Austria is ignoring Haider's recent attempt to draw attention to himself and the restrictive legislation against immigration except the many Assyrian families and other refugees stranded in this country. In 2001 hundreds of Assyrians among other Middle Eastern refugees were quickly sent off to the United States and elsewhere, a majority of whom had arrived from Iran. This year the American Embassy in Vienna has reversed its policy and is denying the refugee status of hundreds of Assyrians from Iran. These Assyrians claim that life for a Christian in the Islamic Republic of Iran is unbearable. Such assertions are strongly opposed by the Vatican whose Special Envoy, Monsignor Jean-Louis Tauran, visited Iran in March 2001 and commented that "Christians are relatively satisfied with the extent of freedoms granted to them in Iran." Khatami's visit to Vienna next month will not help the case of the stranded Assyrians in Austria either. While ignoring Vatican's goal in expanding its dominance among all Middle Eastern Christian groups, we must not overlook the socio-economic condition of the Assyrians in Iran. Although Iranian Christians form a very small percent of the population, they are indeed treated as second-class citizens. They are theoretically protected by the Constitution while officially marginalized. The printing of Christian literature is restricted, converts from Islam are liable to be killed and most evangelical churches must function underground. Employment in the government sector for Assyrians is firmly limited - almost non-existent- and the value of a Christian's life or Blood Money- in legal and insurance cases is considerably below that of a Moslem. Currently most Assyrian political groups and churches in Diaspora have adopted a policy of anti-immigration for Assyrians. This means that Assyrians from Iran, Iraq, Syria, or anywhere in the Middle East are discouraged from leaving their countries of birth. The general consensus is that such a policy is an important step in preventing further decline in the population of Christians in Middle East. Khatami's visit to Austria is expected to help improve the relations between Austria and Iran and bring a negative effect on the Assyrian immigration cases pending immediate response from the American Embassy in Vienna. The non-verbalized Anti-Immigration policy of our political and religious organization is necessary, no matter how unkind it may seem to the individuals wishing to leave their homes in the Middle East. Yet our political and religious organizations in Europe, Australia, and America must come to the aid of the Assyrian families that are presently stranded in Austria and other countries with unfriendly immigration policies and prevent their deportation to the Middle East. The issue of Assyrian immigration from their homes in the Middle East, Iraq in particular, is a very sensitive matter that must be dealt with promptly. At this moment in time attention to the immigration cases of the Assyrian families who have sold their belongings and are marooned in a foreign country, in this case Austria, should be swiftly applied. And in the mean time, communication with the government of Iran through our representation in the Majlis and the Assyrian Universal Alliance must continue at all levels until the status of the Assyrians living in Iran since 800 B.C is elevated to that of a First-class citizen. With the support of the government in Iran, we may in fact be able to amend our current "anti-immigration" policy to that of "reverse-immigration". This article examines the syntax of the verb in the neo-Aramaic dialect of the Jews of Arbel. This dialect belongs to the group known as Northeastern Neo-Aramaic (NENA). It exhibits a number of features in its verbal system that distinguish it from other dialects in this group. As in other NENA dialects, past and present tense verbs are formed from bases that correspond, respectively, to the passive and active participles of earlier Aramaic. A distinctive feature of the Arbel dialect is the use of the pre-verbal particle la to express aspectual nuances. This particle also has a discourse function. Before the mass exodus of Iraqi Jewry to the state of Israel in 1950-51  Aramaic-speaking Jewish communities were found in various towns and villages throughout northeastern Iraq, northwestern Iran and southern Turkey. The Neo-Aramaic dialects of the Jews of this area belong to the subfamily of dialects known as Northeastern Neo-Aramaic (NENA). The other subfamilies include (1) the western group spoken in [Ma.sup. [subset]]lula and various other villages near Damascus, (2) the Turoyo group, spoken in [Tur.sup. [subset]]Abdin in southeastern Turkey and in the village of Mlahso in east-central Turkey, and (3) Mandaic, spoken until recently in the city of Ahwaz, Iran (Hoberman 1989: 3-6). The NENA dialects are closer typologically to the Turoyo group than to either of the other two subfamilies (Jastrow 1990: 90). The NENA group contains a far greater diversity of dialects than any of the groups. In Iraq, the Jewish Aramaic speakers were found in an area that may be defined as the land lying above a line drawn on a map across the country through the towns of Mawsil (Mosul) and Kirkuk. Aramaic was not the first language of all Jews of the area. In the large towns of Mawsil, Kirkuk, Aqra, as well as Arbel, Arabic was the Jewish vernacular. In some villages the Jews spoke Kurdish as their first language. In Iran, Aramaic-speaking Jewish communities were found as far south as Kerend. The northern limits of the Jewish Aramaic area were formed by communities in the region of Lake Van in southern Turkey and those around Lake Urmia in northwest Iran (Hopkins, 1993: 62-64). The NENA group includes dialects spoken by both Jews and Christians. The Christian dialects in all cases differ from the Jewish dialects, even where the Jews and Christians lived in the same town or geographical region. There are considerable differences, for example, between the Jewish dialect and the Christian dialect in the towns of Urmi a,  Salamas, and Sanandaj, in which the two communities lived side-by-side. In other geographical areas, such as Zakho and the surrounding region, the differences between the dialects of the two communities are of a lesser degree (Hopkins 1993: 65). The Jewish dialects, moreover, differ from one another according to the geographical area in which they were spoken. In the present state of research it is not possible to produce a detailed atlas of the Jewish dialects, though a general classification can be made. Hopkins (1993: 67) divides the known dialects into four groups according to their structural affinities. These correspond to the following areas in the Aramaic speaking region: (1) northwest (Zakho, Amedia), (2) southwest (Arbel, Koy Sanjak, Ruwandiz), (3) northeast (Urmia and the surrounding region), (4) southeast (Iranian Kurdistan). Earlier classifications of the Jewish dialects by Y. Rivlin (1959: 80) and D. Cohen (1971, col. 948) did not recognize the distinction between the southwestern and the southeastern groups. Recent work on dialects from these regions, including my own work on the dialect of the Arbel region, has brought to light considerable differences between the dialects of the two areas. The town of Arbel lies seventy-seven kilometers east of Mawsil in the foothills of mountains that rise to the east. There are a number of variant forms of the name Arbel. The form Arbel, which is used throughout this paper, is the Neo-Aramaic form of the name. The Arabic speaking Jews of the town refer to it as Arbil or Arwil. In classical Arabic sources it is known as Irbil. The Kurds call it Hawler, which has developed from the form Arbel by a series of metatheses of consonants. Most of the Jews who were residents of the town of Arbel spoke Arabic as their first language. Aramaic was the vernacular of the Jews living in villages situated on the plain of Arbel (known in the dialect as dastit Arbel), which lay to the north, west and south of the town. The speakers of this dialect are sometimes referred to as "the plain dwellers" (dastakne). This was also spoken by some Jews who were resident in the town of Arbel itself, who had recently moved to the town, or had close contacts with the Aramaic speaking Jews of the plain. One feature that clearly sets apart the speech of the Jews of the Arbel plain from the other related dialects is its verbal system. In all NENA dialects, including Jewish Arbel, the finite verbal forms of earlier Aramaic have been completely supplanted by participles, except in the imperative. The verbal forms of Jewish Arbel are derived from one of three bases, viz., present, past, and imperative. These are descended, respectively, from the active participle, the passive participle, and the imperative of earlier Aramaic. The bases of these can be represented schematically as qatil- (present), qtil- (past), and qtol- (imperative), though the actual forms vary according to the verbal root and the stem of the verb. The present base (qatil-) is inflected with suffixes which express the subject of the verb. These derive historically from gender and number inflections of the active participle, which in the 1st and 2nd persons are combined with enclitic pronouns. The 3rd person masculine singular, has zero inflection. The distinctive feature of the Jewish Arbel verbal system lies in the inflection and function of the present and past bases. The past base of Jewish Arbel is inflected only with l-suffixes. This contrasts with many NENA dialects, which inflect the past base with either l-suffixes or the subject suffixes that are attached to the present base. In such dialects the use of two series of inflectional suffixes on the past base expresses distinctions in aspect or transitivity. In the Hertevin dialect (of southeastern Turkey) and Jewish Urmia, for instance, the preterite is formed by attaching l-suffixes to the past base CCiC- and the present perfect by subject suffixes, e.g., qtilli 'I killed' (preterite) vs. qtilen 'I have killed' (perfect). In some dialects the suffix attached to the past base is equivalent to that of the present copula. In the Jewish dialects of Iranian Kurdistan and in Turoyo, the preterite of transitive verbs is formed by the past base CCiC + l-suffixes, whereas the past base with enclitic subject suffixes is used with intransitives, e.g., in Kerend: plitli 'I brought out (transitive)' but plitna 'I left (intransiti ve)' (cf. Hopkins 1989b: 428). In Jewish Arbel, by contrast, the past base is inflected with l-suffixes in both transitive and intransitive verbs, in both the preterite and the perfect. In many NENA dialects the present tense may be expressed both by forms derived from the participle base (qatil- and also by inflected forms of the infinitive. The infinitive constructions express specifically the progressive aspect. In Jewish Arbel, by contrast, present tense verbs are always derived from the qatil- base. The lack of these features in the past and present forms of the verb in Jewish Arbel are compensated for by the use of the prefixed particle la. The etymology of this particle is not completely clear. One possibility is that it is a fossilized form of the verb 'to be'. It is distinguished from the negator la by the length of the vowel. This particle is not found in the neighboring dialects of Koy Sanjak and Ruwandiz, which use periphrastic forms that combine the infinitive and the past base with the copula to express the present progressive and the present perfect, respectively. The particle la is also reported to be absent in the dialect spoken by the Jews of Betwata, a village situated between Arbel and Koy Sanjak. The verbal system of the dialect of Dobe is closer to that of Arbel; in that it uses a particle rather than periphrastic forms with the copula to express aspectual distinction. The particle in this dialect, however, has the form na. The use of the particle la, therefore, may be considered as one of the hallmarks of the Jewish Arbel dialect. The particle la is used with verbal forms from both the present and past bases. In most cases it is a proclitic and does not have its own stress: la-qatil, la-qtille, It may, however, have its own independent stress: la qatil, la qtille. Occasionally, it is separated from the verb by some other element in the clause. This is regularly the case when the verb is negated, in that the negator la is placed between the particle la and the verb. The initial la normally carries its own stress: la la-qatil, la la-q qtille. In Jewish Arbel, as in all other NENA dialects, the present and past verbal forms can be modified by the enclitic particle -wa which places the time reference of the verb further in the past: qatilwa, qtilwale. In origin this is the old past form of the verb 'to be' *hwa. This has become fossilized as a particle of invariable form. Some verbs (mostly belonging to the category of weak verbs with initial ? or h) have two forms of present base, one indicative and the other subjunctive. The indicative has a prefixed k- element, or its voiced counterpart g-, e.g., kxil 'he eats' (indicative), ?axil 'he eats' (subjunctive); gol 'he does' (indicative [less than] *k-[LANGUAGE CHARACTER NOT REPRODUCIBLE IN ASCII]abid), ?ol 'he does' (subjunctive). This is derived historically from the [LANGUAGE CHARACTER NOT REPRODUCIBLE IN ASCII] auxiliary prefix that is found in earlier forms of Eastern Aramaic, e.g., Babylonian Talmudic and Mandaic. It is usually thought to be a fossilized form of the participle of the verb qym. The northwestern Jewish NENA dialects (e.g., Jewish Zakho and Amedia) differ from Jewish Arbel in that all present-stem verb forms have this prefixed particle k- in the indicative. Other Jewish dialects of the southwestern group and also the northeastern group (Urmia and the surrounding region) align with Jewish Arbel in using the prefix only before a few initial ? and h verbs. The main concern of this paper is the function of the particle la, which is unique to the verbal system of Jewish Arbel. In what follows we shall examine the functional differences (i) between the present-base forms qatil and la-qatil and (ii) between the past-base forms qtille and la-qtille. In Jewish Arbel there are two triliteral verbal stems. Stem I is a continuation of the earlier Aramaic [pe.sup. [subset]]al stem. Stem II verbs derive historically both from the [aph.sup.[contains]][el.sup. [subset]] stem and also the [pa.sup. [subset][subset]]el stem and exhibit a prefixed m- in all bases: maqtil- (present), miqtil- (past). In additional to verbs with three strong radicals, verbs from each stem include those from weak roots or those that have an irregular or defective inflection. There are also a number of quadriliteral roots. The morphology of the forms qatil, la-qatil, qtille, and la-qtille are those of a strong verb in stem I. For the sake of convenience, however, these designations are used to refer to the equivalent forms in stem II and quadriliteral roots and in roots with weak radicals. The usual practice of designating a category of forms by temporal-aspectual terms such as "present," "preterite," "prefect," etc. is avoided, since, as will be shown below, each type of form may have a v ariety of temporal-aspectual functions. [In conclusion] the particle la has not been completely grammaticalized as a morphological component of verbal forms. It can express distinctions in tense and aspect, but it can still be used to mark discourse prominence independently of the temporal aspectual meaning of the verb. This lack of complete integration into the morphology of the verb is reflected also by its phonological status. It is not an affix, but rather an independent particle. In most cases it is a clitic (la-qatil, la-qtille), but, on some occasions, it is given its own stress (la qatil, la qtille). (1.) Small numbers of Jewish Neo-Aramaic speakers are reported to have remained in Iranian Azerbaijan and Iranian Kurdistan, though the vast majority of these communities have also emigrated (cf. Sabar 1975: 294; Hopkins 1989: 254 n. 22). (2.) The term was coined by Hoberman (1988: 557) to replace the "Eastern Neo-Aramaic" of earlier classifications (cf. Socin 1882: v; Duval 1896: 125; Tsereteli 1977, 1978). This was necessary in order to distinguish the northeastern dialects from modern Mandail, which is as distant typlogically from them as the western Neo-Aramaic dialects. (3.) Also known as Urmi or Urumia. The official name of the town is now Rizaiye. (4.) A full description of the dialect can be found in G. Khan 1999. During the period of my fieldwork of 1991, I was a fellow at the Institute of Advanced Studies in Jerusalem. I worked there with Professor Gideon Goldenberg, who led a research group on living Semitic languages and comparative Semitics. I am most grateful to him for, among other things, his many discussions of the subject. My thanks also to the Institute of Advanced Studies at the Hebrew University for its hospitality during the period of my main fieldwork and for the support of all the staff. (5.) For information concerning the Neo-Aramaic dialect of the Jews of Dobe I am indebted to H. Mutzafi. Cohen, D. 1971. "Neo-Aramaic." Encyclopedia Judaica, vol. 12, cols. 948-51. Duval, R. 1896. "Notice sur les dialectes neo-arameens." Memoires de la Societe de linguistique de Paris 9:125-35. Goldenberg, G. 1992. "Aramaic Perfects." Israel Oriental Studies 12: 113-37. Hoberman, R. D. 1988. "The History of the Modern Aramaic Pronouns and Pronominal Suffixes." JAOS 108: 557-75. _____. 1989. The Syntax and Semantics of Verb Morphology in Modern Aramaic: A Jewish Dialect of Iraqi Kurdistan. New Haven: American Oriental Society. Hopkins, S. 1989. "A Tale in the Jewish Neo-Aramaic Dialect of Nayada (Persian Azerbaijan)." Jerusalem Studies in Arabic and Islam 12: 243-81. _____. 1989b. "Neo-Aramaic Dialects and the Formation of the Preterite." Journal of Semitic Studies 37: 74-90. _____. 1993. "The Jews of Kurdistan in Eretz Israel and their Language" [in Hebrew]. Peamim: Studies in Oriental Jewry 56 [Jerusalem: Ben-Zvi Institute]: 50-74. Dialect of Hertevin." In Studies in Neo-Aramaic, ed. W. Heinrich. Pp. 89--103. Harvard Semitic Studies. Atlanta: Scholars Press. Kapeliuk, O. 1996. "Is Modern Hebrew the Only 'Indo-Europeanized' Semitic Language? And What about Neo-Aramaic?" Israel Oriental Studies 16: 59--70. 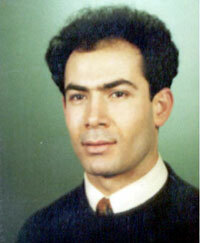 Khan, G., 1999. A Grammar of Neo-Aramaic: The Dialect of the Jews of Arbel. Leiden: E. J. Brill. Kutscher, Y. E. 1969. "Two 'Passive' Constructions in Aramaic in the Light of Persian." In Proceedings of the International Conference on Semitic Studies. Pp. 132--51. Jerusalem. Rivlin, Y. 1959. [LANGUAGE CHARACTER NOT REPRODUCIBLE IN ASCII] Jerusalem: Bialik Institute. Sabar, Y. 1975. "The Impact of Israeli Hebrew on the Neo-Aramaic Dialect of the Kurdish Jews of Zakho: A Case of Language Shift." Hebrew Union College Annual 46: 489--508. Socin. A. 1882. Die neu-aramaeischen Dialekte von Urmia bis Mosul. Texte und Ubersetzung. Tubingen: Laupp. Tsereteli, K. G., 1977, "Zur Frage der Klassifikation der neuaramaischen Dialekte." ZDMG 127: 244--53. _____. 1978. The Modern Assyrian Language. Moscow: Nauka. The common core which was eminent in the concluding statements [of the Turkoman conferences] was our people's eligibility and right to live in prosperity, demonstrating the extent of suppression which our people suffers from, the inequity it is subjected to and the need to put an end to that. It was also emphasized that the Turkoman, the Kurds, the Arabs and the Assyrians have national rights that they should exercise and that they should be equal in the issues of rights and duties, human rights and public freedoms in a unified, democratic, parliamentary and pluralist Iraq, and according to the ratio of their population. Demanding our national and political rights is a legitimate and natural issue. For they are not at anyone else's expense, actually we want that for all sides indiscriminately. Our national question is a political cause known all over the world. During the meeting between Mr Bulent Ecevit, the Turkish prime minister, and US President George W. Bush on 16 February 2002 in the United States, Mr Ecevit demanded that the Turkomans have rights equal to those of the other peoples in Iraq and get what the brethren Kurdish people gets whether it is an autonomy or federalism in accordance with the current policy. The issue of the administration of the Turkomaneli region with Kirkuk as its centre by the Turkoman was raised for discussion at that meeting. Mr Ecevit spoke for the good of the Iraqis also. We are grateful to him for his honourable stances. Certain malevolent politicians and writers depict the Turkoman as desiring an administration for themselves on suspension bridges. We ask them: "Explain if the area between Tala'far and Mandili is suspended over bridges." We, in the Iraqi Turkoman National Party, work in accordance with three fundamental principles. The first is the preserving of the Iraqi territorial integrity. The second is the need for all the citizens of the Iraqi peoples to exercise their legitimate national rights on equal bases. And the third is that the Turkomans run the administration of their region, Turkomaneli, with Kirkuk as its centre in whatever form. Thus our people will have the benefit of their full national rights. None of the questions or problems of the peoples of Iraq can be solved without the participation of the Turkomans. What is worth noting is the international support for our people's cause - the support that we have demanded for the victory of our people and all the peoples of Iraq in accordance with legitimacy and equity. The Turkoman people have gained the international empathy and support in general and that of Turkey in particular. Also the Turkoman Front as well as the parties under its flag continue their struggle so that our Turkoman people will gain their complete legitimate rights. In case the circumstances and conditions in the region change, we will take our resolution with our free will in whatever we deem good for our people. We, the Turkoman people and citizens have an old history in the land of our country, Iraq, that goes back to prehistoric times. The Sumerians, the Haythiys and during post-Islamic era, history witnesses that our people were advanced in the civilization that they built through the founding of Turkoman empires, emirates and states. Our ancestors made Iraq their homeland for a long time. They defended it with their souls and wealth. And we follow their examples and guidelines. As to us being of the same ethnicity as the Turkish people fellow citizens, within the greater Turkish nation; this is an issue we are proud of. It is a historic and natural truth. It is also a natural issue for the other ethnic groups to be with the same ethnicity as the peoples of other countries. For instance, an Iraqi, and Egyptian, a Syrian or a Moroccan are all unified by [their belonging to] the Arab nation. So why is it that what is allowed for others is banned to us? Why are certain issues regarded as reality for others and as a fantasy or a dream for us, taking into account that realities are realities wherever they are and whomever they are for. Yes, we are genuine Iraqis. Also we unite in race with our fellow citizens in the Turkish world, comprising 300 million people. We, the Turkomans of Iraq, are approximately 3 million people. As for the Turkish support to us, as we mentioned earlier; it is natural. National, political and humanitarian duty dictates that to the Republic of Turkey. We are not forgetting that Turkey and the Western powers offer support to other sides and peoples in the safe haven. Otherwise, the peoples of the region would not have been able to resist the tyranny of the regime of Baghdad. The propaganda that is spread about our people is only because it is weak and wronged. These writers are cowards. I would tell those who spread this kind of propaganda, and some writers too, to write about the realities and to mention them as they are; to write about the Iranian support to the Shi'is, for instance; the Saudi support to the Islamists; the Syrian support to the Arab nationalists; the Western and regional support to the Kurds; and the international Christian support to the Assyrians. Write and mention all this if you are brave enough. We do not mention all that out of venom or hatred or to belittle anyone. We do not accuse anyone. Actually we mention those things for the sake of fairness, equity and the truth. We add that this support is only transient until political stability, security and peace are established and firmly rooted in our country and in the region - that is with the establishment of a patriotic, parliamentarian, democratic and pluralist system in our homeland. (ZNDA: Tehran) Iranian search teams have now recovered all 119 bodies from an airliner that crashed into a snow-covered mountain earlier this month, the official Islamic Republic News Agency reported yesterday. The last bodies were transferred from the Sefid Kouh mountains Friday evening, following 11 days of strenuous search and relief operations hampered by snow, rain and the crash site's rocky terrain. Some 101 bodies have been identified, including those of four Spanish passengers and two Assyrians. Reports to Zinda Magazine indicate the identity of one of the two passengers as Mr. Joseph Moradkhan, a civil engineer and the son of Qasha Pnuil of Urmia, Iran. At least 10 Iranian government officials were also believed to be on board. The plane lost contact with the Khorramabad airport control tower minutes before crashing into the mountain Feb. 12. The cause of the crash was unknown, but officials said weather conditions were bad at the time. Since the 1979 Islamic revolution that severed ties with the U.S., Iran has supplemented its fleet of aging Boeing (BA) and European-made Airbus airliners with planes bought or leased from the former Soviet Union, like the Tupolev. (ZNDA: Enschede) The Election Committee for the Municipal Elections in Enschede and Hengelo in Holland reported last week that two Assyrians are running in this year's municipal elections, both supported by the Assyrian Democratic Organization (ADO) and other Assyrian organizations in Holland. These are Mr. Isa Sumer, 33, of the Labor Party in the city of Enschede and Mr. Haysam Elyo, 35, of the Christian Democratic Party in Hengelo. Mr. Isa Sumer is running for office for the second time. He has been a member of Enschede's Municipal Counil since 1998. (ZNDA: New York) Samuel Terrien, a leading biblical scholar who was an authority on the Book of Job, died on February 3 near his home in West Newton, Mass. He was 91. A professor at Union Theological Seminary in New York for 35 years, Dr. Terrien focused as a scholar on wisdom literature, the term for Jewish philosophical writing of the pre-Christian era. It includes the Old Testament books of Job, Ecclesiastes and Proverbs, Ecclesiasticus and the book called the Wisdom of Solomon from the early centuries of Judaism. One of Dr. Terrien's great contributions was to show the influence of this literature on the biblical books of the prophets, said Dr. James A. Sanders, president of the Ancient Biblical Manuscript Center in Claremont, Calif. In his studies, Dr. Terrien used ancient languages, including Hebrew, Assyro-Babylonian, Greek, Latin, Syriac and Aramaic. He wrote 10 books and many scholarly articles. Samuel Lucien Terrien was born to a Huguenot family on March 27, 1911, in Saumur, in the Loire Valley of France. He began studying Greek and Latin in early grade school. When he was 12, a teacher handed him a book about Aramaic to study in the summer. After receiving an undergraduate degree from the Sorbonne, he came to the United States and earned a doctorate of theology from Union Theological Seminary in 1941. He was ordained a Presbyterian minister in 1943. He stayed on as a professor and joined a faculty community of renowned thinkers, including Paul Tillich and Reinhold Niebuhr, recalled his daughter, Beatrice Terrien-Somerville, an associate dean at the Graduate School of Arts and Sciences at Columbia University. Dr. Terrien is also survived by his wife, the former Sara Frantz; two other daughters, Cecile Terrien Lampton of Sausalito, Calif., and Alys Terrien-Queen of West Newton; a son, George Terrien of Portland, Me. ; and six grandchildren. Rancho Cucamonga-based Microtel International Inc. announced in December 2001 that Zaya Younan has been appointed president of its CXR Telecom subsidiary. Prior to joining CXR Telecom, Mr. Younan served as chief executive officer of CyberScan Technology Inc (see 28 Jan 2002 issue). At CXR Telcom, Younan was responsible for developing and implementing strategies to expand profitable growth of the subsidiary's telecommunications presence within the United States market. Zaya reported to Microtel's Executive Vice President Graham Jefferies. "Education is important within the Assyrian school not oversees in Rome and by his Holiness not a Catholic teacher. I do truly believe it is the biggest mistake a nation can bring to itself. When we see the church that our fathers kept and defended for years gets passed away to the Catholic church on a silver platter, we are in need of people that can build in Assyrian not well groomed in speeches and fake promises and time will prove that, but then it will be to late.... Let's remember who convinced us to take this dangerous path of no return and remember why it was important to them to convert an Assyrian from Church of the East." "In reference to Mr. Gewargis article about H.G. Mar Bawai, I would like to express my opinion on this issue. As a member of Mar Narsai Parish in San Francisco, I never felt neglected during the period that His Grace was studying in Rome. I am confident that the balance of our parish shares my sentiment. I am proud of our beloved Bishop Mar Bawai Soro for the successful defense of his doctoral thesis. He has proven beyond a shadow of doubt the apostolic origin of this great church. Furthermore, my praise and admiration for his Grace goes beyond his academic accomplishments to become the first ever Assyrian Theologian graduating with a Ph.D. H.G. Mar Bawai commands our love and respect because of his unique virtue of character building. He has been successful in building the spiritual character of the members of our church. Preaching a gospel of faith, love and tolerance, he is enriching the soul of the members of our community with love of God and Jesus Christ. May God bless him and all the faithful leaders of our church." The success of ATRA project is the result of the support of many Assyrian friends and the cooperation of other Assyrian organizations. We would like to acknowledge this support and cooperation to show our appreciation and fervent hope for its continuation. 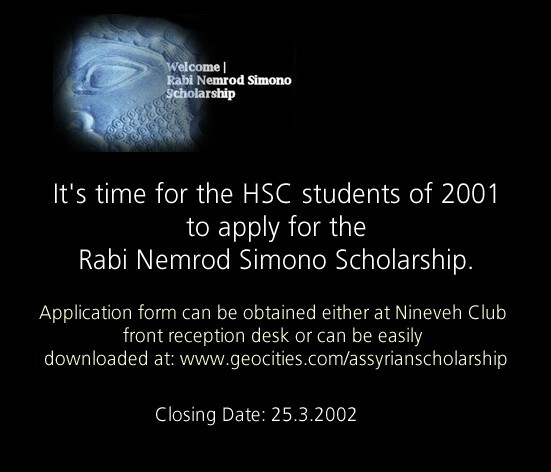 The individual Assyrian supporter who is contributing directly and regularly is the backbone of this project. Without his/her support, the ATRA project could not continue its mission of assisting our fellow Assyrians in Garbia. The cooperation of Zowaa and the Assyrian Aid Society of Iraq is a great help to ATRA project. With their guidance, technical support, and advice, the work of Dr. Moradkhan has been made much easier. We pray for their continued cooperation. The Assyrian Aid Society in the United States has been extremely helpful to the project. The funds donated to the project in the name of this organization are collected and transferred to Dr. Moradkhan without any delay or cost. The Assyrian Foundation of America was the first organization to acknowledge this significance of this project and its benefits to our people. Last year, the organization donated $10,000.00 for the project. We are confident, that this year they will either match or exceed that amount. Bet-Eil Assyrian Church of San Jose has offered to send all funds collected by its Welfare Committee to support ATRA project. So far we have received about $2500.00. We are truly grateful for this generosity. Assyrian Association of Southern California has donated $1000.00 and we are confident that they will always keep ATRA project in mind. Last but not the least, the cooperation of Zinda magazine to allow us spaces in their esteemed magazine to publicize ATRA project. We are appealing to all the readers of Zinda magazine to join this great list of supporters. It takes only $20.00 a month, $120.00 every six months, or $240.00 annually. Please make your tax deductible check payable to ASSYRIAN AID SOCITY and mail it to me at 720 Evelyn Court, Alamo, CA. 94507. "I would like to tell you to be a little more correct in the "Pump up the Volume" section. Most of the time words are transliterated in the Urmia dialect only. Don't get me wrong, its better than having nothing like it at all and fills a much-needed gap, but it would be nice if it was improved a little, and maybe included the western dialect pronunciations. Maybe that is beyond you ability and resources. I would understand that. What I dont understand is you spelling 'attiqa (old, ancient) with a "sqapa" as the initial vowel. What sacrilege! 'Attiqa is spelt with a "ptakha" on the initial consonant which is the letter 'ayin. Good job as always guys, but please be careful to provide correct information when it comes to stuff like this. As we say in Syriac: "Even a priest makes mistakes"." [ Although the PUMP UP THE VOLUME section of Zinda Magazine mainly exhibits the words in the "Eastern" or "Suraya" form of Assyrian language, our readers must also be aware of the rich tradition of "Western" or "Suryoyo/Toroyo" form of modern Assyrian. Soon Zinda Magazine hopes to utilize its resources in Europe to offer a more complete picture of the Assyrian language in all its colorful and vibrant forms. The "Proceedings of MELTHA Bulletin", issues No. 1-10, published between 1994 and 2000 is now available. 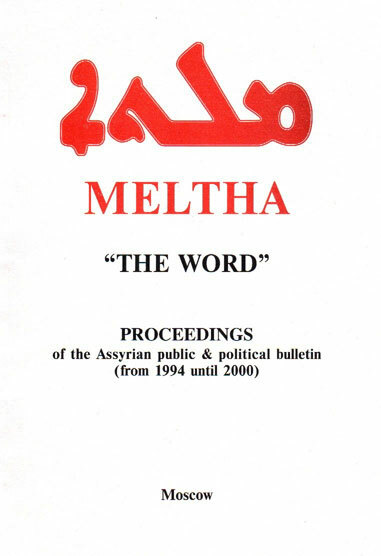 MELTHA is an independent public and political bulletin of the Assyrian National Club of Intellectuals in Russia. The "Proceedings" contain 70 articles, set out in writing on 270 pages of A4 format. Releases of "MELTHA" are devoted to all aspects of the Assyrians' present-day life and also their ancient and modern history. The wide response to the MELTHA Bulletin for the past 7 years and the enormous interest in these releases from Russia prompted the decision of the Editorial Board to resume publication of MELTHA in the form of a periodical quarterly, the MELTHA Journal. Board at PO Box 18, Moscow 129642, Russia. The Assyrian Students' Association of Mohawk College [http://www.mohawkc.on.ca/clubs/Assyrian] invites you to become a member of our student club. Our primary goal is to offer educational programs related to the language, culture, history, music, athletic and mass media of the Assyrian people. Come and join us at Mohawk College. As a member you will be able to run for any executive position, such as President, Vice-President, Treasurer, Secretary, Media Director, Social Director, and Committee Director. Your activities will not interrupt your academic work, because your success is our success. Please call Ashur Simon Malek at (905) 318-8283 and find out more about our club. If you know any students attending Mohawk College, please pass our invitation to them also. All are welcome, including part-time students as "Associate Members". - Caricature on Life : What makes you passionate about being Assyrian? Poetry is an expression of feeling through words, either written or spoken. There are many types of poems and many people who study and enjoy poetry as a fine art. There are very long poems that go on for chapters and chapters. There are short poems that contain only a few lines of verse. Some poets create rhyming verse. Some focus on the beat the words create, the meter and rhythm of the poem. Some place the words they wish to use in such a way as to create a visual image. People love poetry so much that workshops can be found in nearly every town at bookstores, coffee shops and schools. David Sewall, a graduate assistant in the English department at DePaul University in Chicago, reports that the first known poem attributed to an author was written in ancient Sumer/Akkadia around 2300 B.C. by Enheduanna, an Akkadian High Priestess of Ur. Her poem is called "The Exaltation of Inanna." Sewall says it is part of a hymnal cycle created to honor to the goddess Inanna. Enheduanna's poem, a 153-line hymn, is recorded in cuneiform, the earliest form of the written language. Sewall said it was written only a few hundred years after the advent of writing. Other famous ancient poems are the Epic of Gilgamesh, a Babylonian story dating to 2000 B.C., and Homer's "The Odyssey" and "The Iliad," which were written around 800 B.C. in ancient Greece. These stories undoubtedly were part of the oral traditions retold over the centuries to the people of those lands. Only a handful of scholars at the time could read and write and therefore were able to record these great works so we can enjoy them today. Sewall said that other writings exist that predate Enheduanna's, but were written anonymously. Enheduanna is credited as the world's first known author and her hymns as the world's first known poems. Congratulations to Assyrian entertainer, Walter Aziz, whose song "Qa Mani Bayat?" (Who Do You Love?) is currently on the list of KPFA Radio's (94.1 FM) "Music of the World" program. "Qa Mani Bayat?" 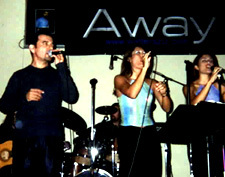 appears in Mr. Aziz' internationally successful CD "Away" produced by Eastjam Records. "Music of the World" is a popular music show hosted by Stephen Kent on KPFA from Berkeley, California. Catch Walter Aziz in California and Arizona during his Assyrian New Year 6752 engagements in California and Arizona (see CALENDAR OF EVENTS). Akkadian (or Assyro-Babylonian) is the collective name for the Semitic dialects spoken in ancient Bet-Nahrain (Mesopotamia). The name Akkadian is derived from the city-state of Akkad (Agade). After the third millennium the language from the southern part of Mesopotamia is referred to Babylonian, whereas the northern dialect is called Assyrian. After 1000 B.C. the Aramaic language gradually replaced the Akkadian dialects and by 300 B.C. was the lingua franca of the region. Sir Leonard Woolley dies (February 20) in London. He was an archaeologist from an era with a romantic appeal to many modern classicists, digging most famously in the late 1920s at Ur in southern Bet-Nahrian, where he discovered great material wealth in the tombs of Mesopotamian royalty. Agatha Christie married his young assistant, and based her book "Murder in Mesopotamia" on her experiences at Ur.